The Heart Of St Kilda Concert, the annual yearly fundraiser for The Sacred Heart Mission, is only a few weeks away and will be held on Tuesday 22 September. This year’s Heart of St Kilda Concert aims to raise enough funds to provide more than 25,500 hot and nutritious meals to people experiencing homelessness, disadvantage and social exclusion. The Mission serves over 160,000 meals each year out of its dining hall in Grey St, St Kilda. Check out John Butler jamming with Rodrigo Y Gabriela on the Pharrell track ‘Happy’ at Rock En Seine in Paris on August 28th. The French festival also featured The Chemical Brothers, The Libertines, Kasabian, Franz Ferdinand & Sparks, Alt-J, Hot Chip and Tame Impala, Pond and My Morning Jacket among many others. Punishing 16th-note kicks at rapid-fire tempos, unbelievable runs across his rack toms, insanely twisted patterns, and awe-inspiring phrases: Dave Lombardo is deemed one of the most influential drummers of our time. Born with extraordinary musical aptitude, Lombardo was intuitive to rhythm at a very early age. His musical awareness has continued to transcend the repetitive formula of Metal throughout his formidable career. His mentors include an eclectic array of percussion icons, such as: Ginger Baker, Bill Ward, Tito Puente, Gene Krupa, Buddy Rich, Mongo Santamaria and John Bonham. Lombardo is most widely known as an aggressive and exceptionally skilled heavy metal drummer, but over time he has proven that his unique gift far surpasses the confines of being labelled. Dave’s style has been called “astonishingly innovative,” “strikingly fast,” and “unmistakably powerful.” He has earned the title “The Godfather of Double Bass.” Lombardo’s unmatched combination of technical flair and outright speed has made him the yardstick against which all subsequent metal drummers are fated to be measured. As an original and founding member of Slayer, Lombardo has performed with Slayer on seven albums, including their ground-breaking 1986 release Reign in Blood and their 2006 release Christ Illusion, for which he received critical praise. Dave’s musical career has spanned more than 30 years, during which he has been involved in the production of 30 commercial recordings spanning a number of major genres with bands such as Fantômas, Grip Inc, Testament, John Zorn and PHILM, in addition to Slayer. Lombardo’s most recent endeavours have found him in a variety of compelling adventures. From recording the drum tracks for Californication (Season 7) alongside the incomparable Tyler Bates, to lending his talent to the soundtrack of Insideous: Chapter 3 at the side of captivating yet sinister composer Joseph Bishara, to performing amidst a 75-piece orchestra by request of the esteemed composer, Christopher Young, to writing a score for a soon to be released Disney pilot. Lombardo is out to shatter all preconceptions of what it is that he has to offer the world. Join Dave as he discusses his incomparable musical career and Rhythm Mysterium Art Collection. Watch never before seen footage, hear his new Paiste REIGN Ride, participate in a candid Q&A forum and meet the legend. 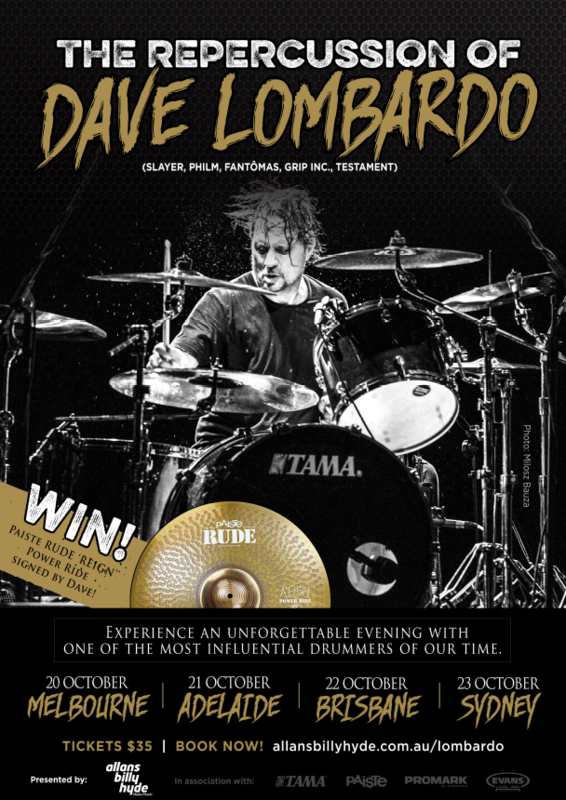 Witness why Dave Lombardo is one of the most provocative and breathtaking drummers alive today! 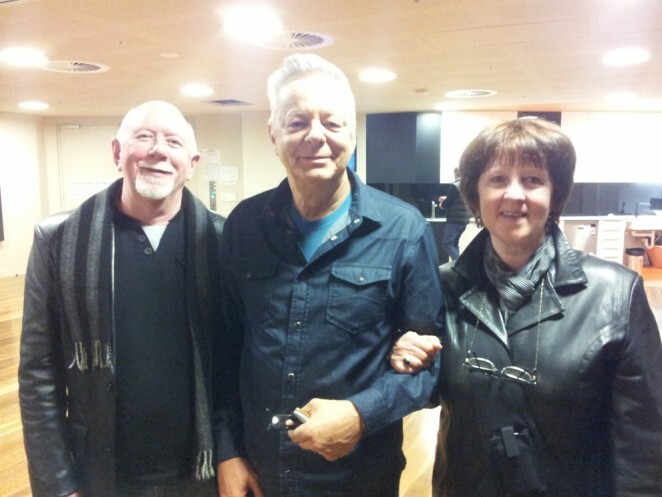 Tuesday, October 20: Melbourne – Allans Billy Hyde – 152 Bourke St – BOOK NOW! Wednesday, October 21: Adelaide – Allans Billy Hyde – 58 Gawler Place – BOOK NOW! 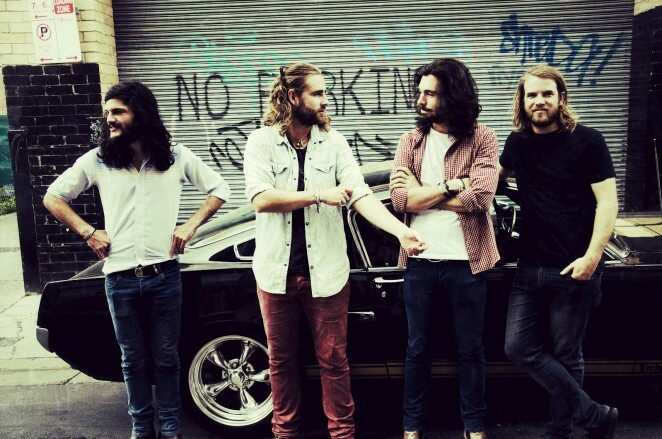 Thursday, October 22: Brisbane – Allans Billy Hyde – 201 Lutwyche Rd – BOOK NOW! Friday, October 23: Sydney – Allans Billy Hyde – 228 Pitt St – BOOK NOW! 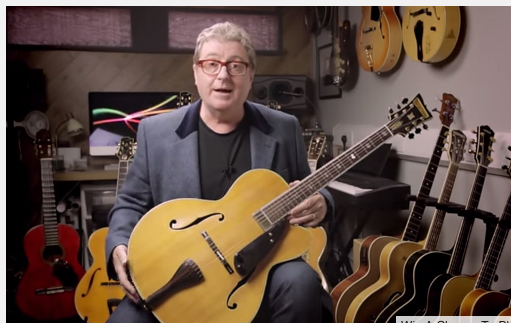 British jazz guitar legend Martin Taylor has posted a video on his YouTube channel outlining an amazing opportunity for someone to hang out in his studio, play his guitars and even record with them. 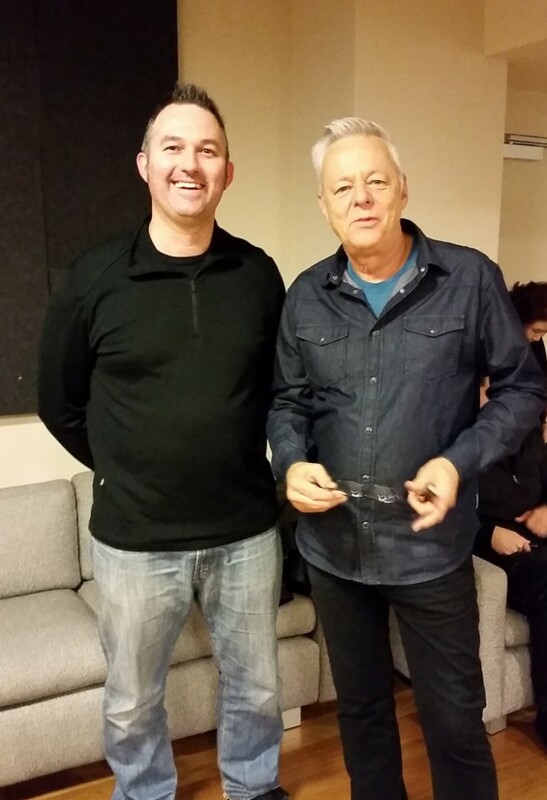 The prize is a day’s recording in Martin Taylor’s private studio with Martin producing. Among the guitars available to play on the day are a1925 Gibson L4, a 1929 Martin 00045, and a 1964 WG Barker. You can even play Django Reinhardt’s guitar pick on your recording! The downside of course for Australian fans, is that you’d need to get yourself to Taylor’s Scottish studio if you won. The competition ends on October 1st. Check out Martin’s video in which he chats about his rare guitar collection and the details of the competition. The Age Music Victoria 10th Anniversary Hall of Fame Concert to be held at the Palais Theatre on Friday, November 20th has added more artists to the presenter and performance list. Paul Kelly and Kingswood will now join a stellar cast which includes: John Farnham, Archie Roach, Kate Ceberano, Brian Cadd, Normie Rowe AM, Vika Bull, Angie Hart, Mark Seymour, and Paul Williamson. Being inducted into the Hall of Fame this year will be: AC/DC, Bill Armstrong AM, John Farnham AO, Olivia Newton-John AO OBE, Palais Theatre, Archie Roach AM, Stan Rofe, The Seekers, Sunbury Festival and The Thunderbirds. Organisers are also pleased to announce some of the special guests who will be inducting each of The Age Music Victoria Awards 10th Anniversary Hall of Famers on the night. Colleen Hewett will be inducting the legendary Bill Armstrong and John Farnham will be inducted by his longtime friend, Chairman & CEO of Sony Music Entertainment Australia & New Zealand and President, Asia, Denis Handlin. The Age Music Victoria Hall of Fame 2010 inductee and special guest performer, Paul Kelly, together with Aboriginal elder, actor and musician Uncle Jack Charles, will be inducting Archie Roach. Other inductors on the night include David Mann OAM, Billy Pinnell, Tex Perkins and one of The Thunderbirds’ favourite collaborators and singers, Marcie Jones, with more to be announced. Patrick Donovan, CEO of Music Victoria said today, “This is a very special night for the inductees so we asked them to nominate someone in their careers to have the honour of inducting them on the night. We are thrilled that some of the biggest names in the industry will be joining us in this massive celebration”. The one night only concert event on Friday 20 November 2015, will be hosted by RocKwiz’ Brian Nankervis with musical backing by the EG Allstars featuring Pete Luscombe (musical director), James Black, Bill McDonald and Ash Naylor. First introduced in 2006, The Age Music Victoria Awards (formerly The Age EG Awards) are the largest publicly voted music awards in Australia. Unlike the annual Awards which will be announced in September 2015, the selection of The Age Music Victoria Awards 10th Anniversary Hall of Fame inductees was made by a voting panel including former inductees, musicians and music professionals, all of whom had their work cut out for them in selecting just ten inductees from Victoria’s long and illustrious musical heritage. Eligibility required inductees to have been Victorian residents when they made a significant contribution to Victoria culture.